There are almost no villages or hills in Slovenia that do not have a church, and Slovenia is also full of convents, monasteries, and roadside shrines. For an authentic experience, join a pilgrimage to the Mary Help of Christians Church in Brezje, ring the bell of wishes on Bled Island, and try the pear brandy from the Pleterje Monastery. In the area of today's Slovenia, early Christian churches were built in late antiquity, and their remains can be seen in Ljubljana, in Ajdov Gradec near Sevnica, or Tonovcov Castle near Kobarid. 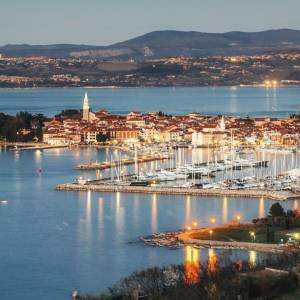 The planned spreading of Christianity began in the 8th century, but things were shaken up by Protestantism, which yielded the first book in Slovenian. 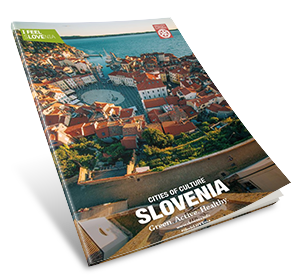 Today, the history of Slovenian religion, construction, and art can be explored in almost 3000 sacred buildings. Discover why this basilica at Ptujska Gora is considered to be the most beautiful Gothic monument in Slovenia and one of the most popular pilgrimage sites. Visit the imposing three-nave space, which was created at the turn of the 14th to the 15th century, and admire the exceptional statues and church furnishings. At its centre is the main altar with a graceful relief of the Virgin Protectress clad in a cloak. This relief was made around 1410, and it features 82 people. This is a unique group portrait of individuals who lived six hundred years ago. The famous altar image of Mary and Jesus is one of the symbols of the worship of the Mother of God in Slovenia. The painter Leopold Layer created it in the early 19th century in prison, from which he was said to have been rescued by Mary herself. She was then given her own basilica in Brezje in 1900, after additional construction work was done on an existing sacred building. Because prayers to this saint are said to have caused many miraculous healings, the popularity of her basilica is immense, as approximately 400,000 people visit it annually. In the midst of the Prekmurje plains, it will seem to you like you have seen a lighthouse that has something to do with the Pannonian Sea that was here millions of years ago. In 1924, the famous architect Jože Plečnik began building a unique church with a dominant cylinder-shaped bell tower. You absolutely must climb up the tower and see the flat landscape from above. Don’t miss the opportunity to see the interior of the church, which will surprise you with its wooden ceiling, from which products made by Prekmurje potters hang. Due to the high stone wall and guard towers, it will seem that you are entering a fortress. The stone protective wall around the church that dates to the 13th century was built due to Turkish attacks and the onslaughts of the Uskoks, but it is also a small treasure trove of medieval wall painting. In addition to Glagolitic writings and various images, you can also see the Danse Macabre with a strong message of social equality. This seven-metre long fresco from 1490 speaks of the fact that we are all equal when we die. The church in Hrastovlje is on the World Cultural Heritage list. The Cathedral in Ljubljana has a Baroque interior with extravagant decorations and an exceptional example of illusionistic ceiling painting. The feeling that the shapes are alive is so strong that you will be convinced that you can see floating images above you. The Cathedral was built from 1701 to 1706, and various internationally acclaimed masters, such as Andrea Pozza and Francesco Robba, worked on it. It is shaped like a Latin cross and is considered to be one of the most significant Baroque structures in Slovenia. Svete Gore is one of the oldest areas of worship in Slovenia, as various gods have been worshipped here for thousands of years. Here, the remains of Celtic and Roman temples and late Roman and early Slavic archaeological remains have been found. One of the oldest preserved Christian structures is St. George's Chapel, dating back to the 9th or 10th century. There, you can find writings in a script that has not yet been deciphered, and a relief of an unknown man accompanied by two hovering spheres. The Chapel of St. Martin, with Romanesque and Gothic elements, as well as the Church of St. Mary are also located in Svete Gore. The oldest charterhouse in Central Europe was founded in the 12th century. Since then, its exceptional architecture, which is considered to be one of the main examples of early charterhouse architecture in Europe, has been preserved. The most prominent features include the remains of the Church of St. John the Baptist, with its Gothic windows. After touring the charterhouse, visit the nearby Gastuž, the oldest restaurant in Slovenia, where medieval recipes are kept in a collection. Did you know that Carthusian monks live in an enclosure? This means that they are completely removed from the world and that they only rarely admit people to their charterhouse. If you are a woman, you will never enter. Nonetheless, a walk around the walls of this charterhouse that was founded in 1403 is a special experience. You can take a look at the interior of the Gothic church, and if you are lucky, you will be able to hear monks singing Gregorian chants in Latin. Make sure to buy their pear brandy (“liquid pear”) to take home with you. Throughout history, the function of this pleasant-looking grey and white building alternated between a castle and a monastery. Today, it houses Minorite monks, who are take care of the centuries-old pharmacy and a herbal garden, where various natural healing products are made for visitors. Don’t miss the Church of the Assumption of Mary, which has a mighty Baroque, three-level, gilded black altar. The oldest still functioning monastery in Slovenia was founded in 1132, and today visitors can enjoy architectural traces of the Romanesque, Gothic, and Baroque periods. Its attractions include a cloister, a church, and a museum of Christianity. Cistercians are known for making products from healing herbs and using clay to heal. They will also provide advice on what is good for your health. Take a bike ride or a walk on rolling Slovenian hills and through valleys, exploring numerous sacred buildings inviting you to discover their rich history. By exploring churches, you will see many interesting destinations all over Slovenia and experience their diverse tourist attractions. Also make sure you visit some of the many cultural events.